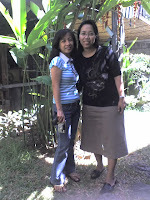 Moments of My Life: Bes Birthday! It's my bestfriend JennyL birthday and I want to be the first to greet her a happy happy birthday! thanks Bes.. tuloy tayo maya ha..
hi race,thanks for d visit and congrats din sa new domain mo..oiii bes mo pala si ate Jen..
magkalapit lng kami ng bday..kasali din ako sa contest pero di ko alam kung sino ang nanalo..hehehe..
cge race ha thanks a lot and have a nice day.